Size: L 11-1/2 in. x W 3-1/2 in. x H 6-1/2 in. Safety pressure relief valve rated at 150 psi. Size: L 20-1/2 in. x W 8-1/2 in. x H 10-1/2 in. Tank only. 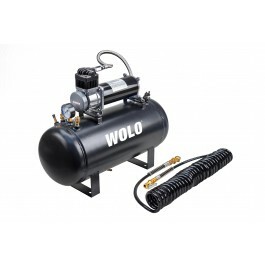 Wolo’s new Model 860, AIR RAGE is designed for applications that require an on-board air system that can supply large volumes of high-pressure air. Model 860 is ideal for powering train air horns, air-locking differential, or to power light-duty pneumatic tools. Use the coiled filler hose with brass fittings provided, to fill shocks, rafts and sporting equipment. The heavy-duty compressor has an extended length stainless steel high-pressure hose, allowing the compressor to be separate from the tank for surface mounting. AIR RAGE is a complete on-board air system that includes everything necessary for a professional installation. The heavy-duty 5-gallon steel tank is painted black to prevent rust and corrosion and has steel mounting brackets that are welded to the tank. Other tank features are: built-in pressure switch, manual water drain, pressure gauge and a pressure relief valve and brass fittings. The pump’s cylinder and head have been designed with cooling fins that allows the compressor to have a 100 percent duty cycle. The heavy-duty 12-volt motor of the compressor is balance to precision and there is heavy rubber bushing mounted into the base virtually eliminating all vibration. 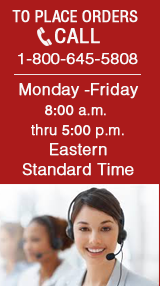 AIR RAGE will provide a reliable, cost-effective solution to your on-board air system needs. Kit comes complete with all mounting hardware, 10 ft. of flexible high-pressure hose, 20 ft. coiled filler hose with brass fittings and installation instructions in English / Spanish.